A limited number of Convergence T-Shirts are still available! This is a high quality American Apparel 100% cotton shirt! It's comfortable, slick, and available in S, M, XL, 2XL, 3XL, and 4XL sizes! 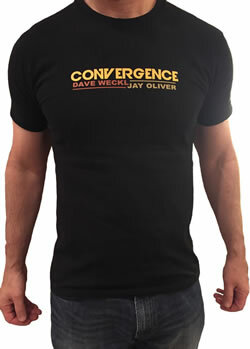 Show the world you support great music with a Dave Weckl / Jay Oliver Convergence T-Shirt! 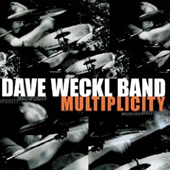 2005 saw the final tour for the Dave Weckl Band. This is the original T-Shirt that sold during that tour! The front features a special "dot-pattern" image of Dave. The back has 2005 American and European tour dates and the names of the band members (Dave Weckl, Tom Kennedy, Steve Weingart and Gary Meek). 100% cotton and very cool! Limited quantities still available in LARGE size only!